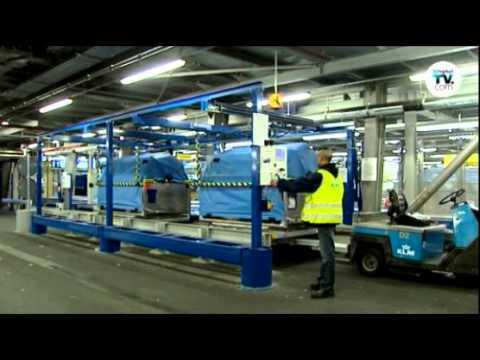 For the transport of a baggagecontainers (ULD’s) Moderniek uses friction roller conveyors. Applying friction roller conveyors has advantages in terms of safety, reliability and robustness. With the use of friction roller conveyors a ULD can be also moved manually. Other transport systems for the transport of a ULD are chain conveyors, turntables and shuttle / traverse transportsystems.